The perfect decoration for your Mexican fiesta inspired party or Cinco de Mayo celebration! 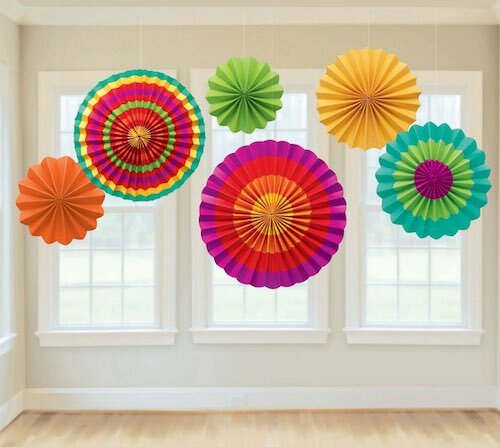 The Fiesta Paper Fans are a must-have for a Mexican Fiesta party theme. With 6 paper fans per pack, they are a great value option for your party decorations. They are easy to assemble, simply pull the ends together and then add string to hang. Check out our Mexican Fiesta party theme for more inspiration.